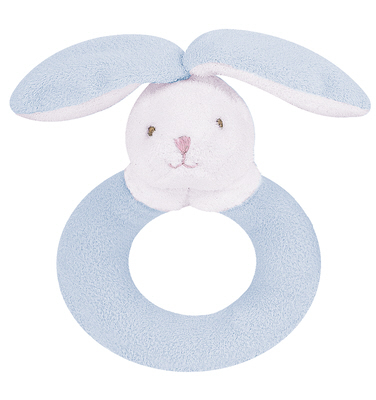 Angel Dear™ Blue Bunny Ring Rattle is made of the softest light blue fleece fabric. It has long, floppy ears. The inner ears, face and trim are white. The face details are embroidered. The rattle measures 4 Inches.